In a new feature for Footy-Boots.com, we were invited by our new friends at EA Sports to try out the latest in the FIFA legacy before the release on the 1st of October. 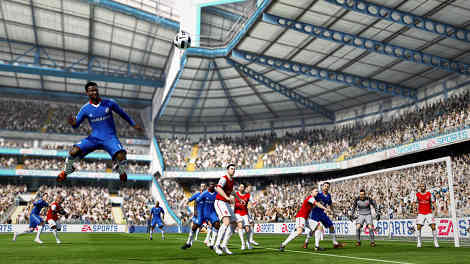 Graphically, the game improves on the benchmark set by FIFA 10, by simply doing more of the simple things right. 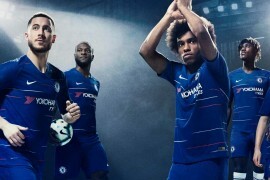 As well as tweaking textures on the grass and adding a new level of detail to the player˘ hair and kits, EA Sports boasts that this game features more ‹Ĺ›Star Faces˘€žË than ever before Ĺ› meaning that you can expect more of your favourite players to look more realistic than ever. This will come as a huge feather in the FIFA cap, as the Pro Evolution Soccer series had much more authentic-looking player models last year. In fact, the whole game seems to have had the ‹Ĺ›colour˘€žË levels turned up a bit more over last year˘ edition, meaning that the game immediately looks more exciting and vibrant. 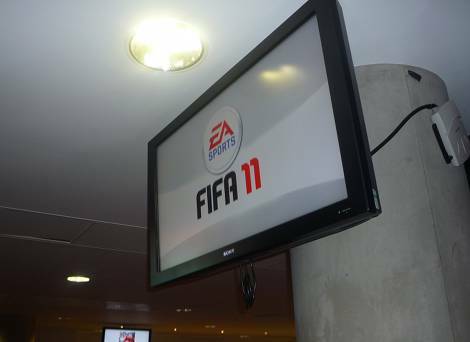 As soon as you get your hands on FIFA 11, fans of the series will notice the pacing of the game has been lowered significantly from the universally lauded FIFA 10. This slight tweak in pacing is something of a double-edged sword for the long-running series. 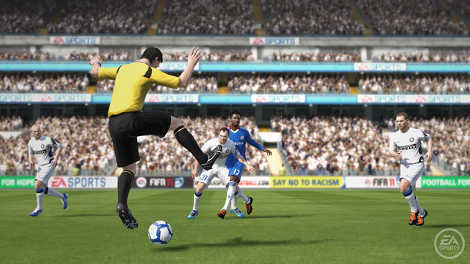 On the upside, the game feels much more deliberate and thoughtful when playing with top teams Ĺ› the revamped passing system (more on that later) is clearly the reason for the change in pace, as it encourages even the best FIFA player to consider each forward move carefully, rather than just Lob-through-ball˘€žËing their way over an opponents back four. The downside to this change is unfortunately a touch more frustrating Ĺ› as the players that suffer most from this change in pace are wingers and forwards. It˘ much harder to simply burn past sluggish centre-backs with pacey attackers, which can be hugely annoying as you look to destroy a centre-back with Lionel Messi, only for the slower pace to allow the defender enough time to block you. But, if you˘€žËre the one doing the defending, it˘ hugely rewarding to deny what would have been a sure-fire chance in previous incarnations of FIFA. New animations and a revised probability engine make blocking the attacker from the front hugely satisfying; if you take satisfaction from staunch defensive performances, you˘€žËre going to love FIFA 11. Whilst on the subject of new animations, there˘ been a whole new set of celebrations cooked up for FIFA 11. Some of the highlights included the classy Kaka ‹Ĺ›Hands-Clasped-in-Prayer˘€žË and the almost-over-the-top group Ricky-Gervais-esque dancing. We˘€žËve got a feeling that we˘€žËll be seeing that one a lot in the online mode. As revealed at Gamescom this weekend, the online mode is getting some exciting new features too; 11 v 11 Be a Pro and controllable goalkeepers. The increased Be a Pro team sizes are nice, but we were itching to get our mitts on the Goalkeeper mode more than anything else, as this is the first time this feature has ever been included in the FIFA series! There are two key visual differences that you˘€žËll notice when stepping between the sticks for the first time. The main one is the Position indicator, which handily recommends where your ‹Ĺ›keeper˘ positioning should be in relation to the ball. You are, of course, free to ignore this indicator if you fancy a more unorthodox style of goalkeeping Ĺ› but it definitely makes the whole experience much less intimidating. The other key difference is the ‹Ĺ›tracer˘€žË that comes off the football when it˘ coming into the area. As anyone that˘ played the Be a Pro mode in FIFA 10 can appreciate Ĺ› the directly behind the player camera angle would make it extremely difficult for a ˘€žËkeeper to judge a ball coming in high, and this ribbon that follows the ball in flight evens the playing field a bit. As for controlling the keeper Ĺ› EA have done a surprisingly intuitive job for their first time at ‹Ĺ›keeper controlling. Rather than having diving assigned to a button, it˘ instead mapped to the right analogue stick. This not only means that you can control the intensity of a keeper˘ dive Ĺ› but it also prevents the game accidentally interpreting kicks as dives and vice versa. Away from the pitch, FIFA 11 is all about a mind-melting array of customizable options. From the Creation Centre, you˘€žËll be able to not only Create players using EA˘ industry leading GameFace technology (including 3 more ‹Ĺ›body types˘€žË than last season) but they˘€žËll also be able to make their own Club, choose a stadium, and even create a custom kit and crest (though kits and crests will be based on templates, rather than a full ‹Ĺ›create your own˘€žË feature). But the customization doesn˘€žËt stop there Ĺ› this year you˘€žËll be able to use any audio file on your system˘ hard drive as a custom chant Ĺ› so you and your mates can sing your hearts out for your custom player/custom team and have it modulated by the crowd in-game. Though whether you use this feature to create the noise of the Vuvuzela, I˘€žËm afraid we just won˘€žËt be able to condone that! As for our trademark boot-geekery; You’ll notice in a lot of the screenshots on here that players are wearing older football boots such as the Nike T90 Laser II and adidas F50i – but rest assured that these are have all been updated in the version that we played – and looking better than ever! The new Challenge Red T90 Laser III‘s were looking sharp, and EA Sports have even taken the time to model the adaptable NikeSense stud on the Superfly II – infact, the only boot discrepancy that we noticed is that Nicolas Anelka is still in the Puma v1.10, and not in the adidas F50 adizero! 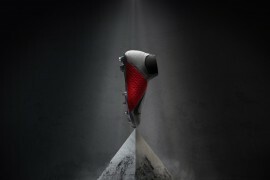 We even got the chance to have a chat with head developer David Rutter, who revealed to us that if companies like adidas would like to have their new releases FIFA 11 will be able to support new boots, shirts and balls – but they haven’t got any planned new releases just yet. Overall, we definitely felt that FIFA 11 is a big step up for the series Ĺ› but the biggest steps are made away form the core gameplay. The Creation Centre is going to be a huge hit, with talk of Facebook integration for sharing your designs with your friends. The Goalkeeping is also a fun addition, those playing multiplayer with their friends now even have the option of playing as the keeper in the loading screen arena, while their friend takes shots Ĺ› though we do worry about people being'¦silly with their goalkeeping responsibilities in the online mode! The new pacing is going to be something that˘ potentially divisive among FIFA fans. The majority will welcome the more tactical, slower paced gameplay. After a few games I found it even more rewarding to eek the perfect through-ball to Higuain and tuck it past the keeper, rather than just blazing past the opposition with Ronaldo. But I˘€žËm guessing that some will miss the high-speed ‹Ĺ›ping-pong passing˘€žË of FIFA 10 (though there is an option on the Pause menu to turn the game speed up to high if you really struggle to adjust) – the good news is the demo’s going to land on the 15th of September, so you’ll have time to judge for yourself soon enough! 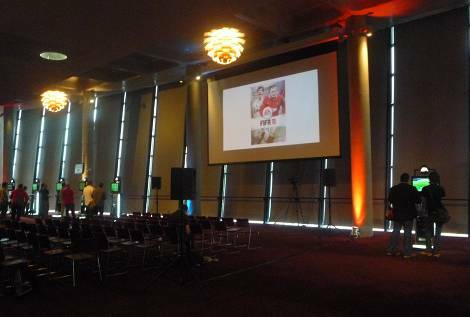 Previous articleFA UMBRO 5’S – MEET DAVE BLOKE! oh god i alreday play on high on fifa 10 so i dont know what im gonna do! honestly i liked PES 2010 much more than FIFA 10.
the gameplay in PES is much much better, the graphics were better in the 2010 version as well. I just cant wait for this release – any chance you can give me your copy? Looks awesome!!!! The video you have in this post also has a boot problem as Donovan should be in CTR360s and not Vapors. That’s an awesome shout MisterBroom12! They have to get Donovan right as he’s the cover athlete in the US! If anyone else can spot any other boot changes, let us know the end of the week and we’ll send an email to EA Sports and see if we can make a difference! Whats important this year is EA sort out all the bugs from last year. Manager Mode especially! They have had the gameplay sorted since FIFA 09. PES is still not right, its good in places shooting, graphics etc but the general gameplay i.e. passing and animations are nothing compared to FIFA. real madrids mesut ozil still in the colours of werder bremen? fifa do not ignore last day transfers. the pics are just from when the game is still being developed and they haven’t got around to updating teams ect. Can’t wait for Fifa best game ever. 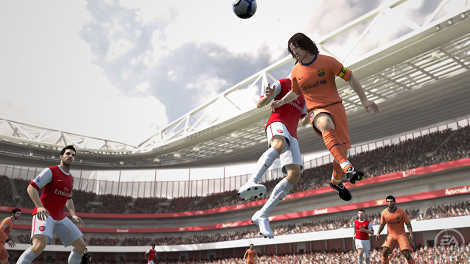 Though PES does look rather good this year. those comments on the new defense being easier are really re-assuring. after my brothers blazed through my defenses playing with messi, villa, etc. with FIFA 10, i’m really looking forward to actually having a fair shake this time around. Is finishing actually remotely realistic, in that you don’t have to hit a ball using the famed RB + B combination to score goals? I found that finishing in 2010 FIFA World Cup was far more intuitive than in 10, so I’m hoping that they’ve tweaked the finishing system to where the best players (ahem, Drogba, Lampard, Rooney, Ronaldo, et. all) can actually score sitters a few yards outside of goal. It always annoyed me how I’d be on the six-yard box and simply tap B only for the ball to go flying outside the post. And on the second note, which I suppose is sort of related, how is crossing and heading in the game? It continually seemed like heading the ball accurately in 10 was impossible and then tweaked well in 2010 FIFA World Cup. By that I mean is it ACTUALLY possible to score from crossing the ball in open play? Anyway, two little pet peeves of mine about 10…any info would be much appreciated! Yeah, the shooting seems to be a bit more balanced and intuitive, whilst the finesse shot is still there I definitely grabbed a few goals from within the box with just the standard shot. 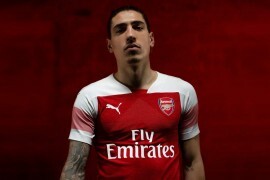 I’ll be honest on the crosses though, I don’t think they’ve been tweaked too much. I didn’t try any of the ‘advanced’ crossing moves (double tap ‘X’ for low cross etc.) but they felt pretty much the same as last year. Heading’s completely revamped though – the new Personality Plus system means that if you’ve got someone like Puyol who’s dynamite in the air, he’s more likely to come through the back of a player now to try and win it, rather than just let let the person nearest the ball always win the header. As for Celtic Park’s inclusion – there were only limited teams to play with, so we only got to try out the San Siro, Bernabeau and Stamford Bridge – as soon as I know, I’ll shoot you an email! I can’t wait to get my hand on the new FIFA 11, I use to be a big of the PES series but recently FIFA and EA turned the things around and I have being playing it a lot more than I use too. kyle when you played was drogba wearing the world cup superfly colourways or the new cactus colour. 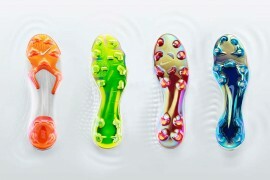 if E.A sports have the time to tweak the player, surely they could make sure every player wears the same boots. 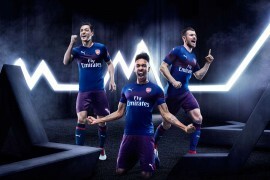 @robbie – FIFA offers online squad updates anyway, plus you can go to transfers and put ozil in RM manually. Will there be any australian or a-league grounds? In the cut scenes showing the coaches, do they actually look like the real coaches?